The War On Drugs released the superb Lost In The Dream in 2014, an album that was showered with substantial praise and became one of the most critically acclaimed releases of that year. So it's no surprise that expectations were very high for the band's follow-up fourth album, A Deeper Understanding. The album is every bit the masterstroke it was expected to be. A Deeper Understanding is a sprawling, meticulously-crafted work that was created from the rich, sonic palate that singer, songwriter and multi-instrumentalist Adam Granduciel taps into with tremendous skill and deftness. There is no doubt that the War On Drugs were heavily influenced by veteran rock acts such as Bruce Springsteen, Neil Young, Dire Straits, Bruce Hornsby and others: A Deeper Understanding flaunts these influences with unabashed pride. The War On Drugs was formed in Philadelphia in 2005 by Granduciel and Kurt Vile. After the release of the group's 2008 debut album, Wagonwheel Blues, Vile amicably left the band. It was then that Granduciel took over creative reins of the group, releasing Slave Ambient in 2011 and then Lost In The Dream. Granduciel’s desire to bring together standard rock instrumentation and modern-day technology is another hallmark of the War On Drugs, apparent from the first beats of the album’s opening song, “Up All Night.” The upbeat pop song moves at a brisk pace thanks to a programmed rhythm track combined with conventional drums. Another driving song, “Holding On,” introduces itself with a wash of synthesizers and other keyboards, including a pounding rhythm played on piano. The extra sweetener here is the use of glockenspiel. The pace slows near the midway point with the gorgeously expansive “Knocked Down,” which drifts on a stream of keyboards, ranging from piano to mellotron. At four minutes, it is, by far, the shortest song on A Deeper Understanding. Granduciel is a craftsman who has his fingers on virtually every aspect of the War On Drugs’ music. Every song is carefully constructed note-by-note and instrument-by-instrument. He is totally at home in a recording studio and he doesn’t hesitate to use everything that is at his disposal. As producer, Granduciel creates a contemporary "Wall of Sound" by painstakingly building songs layer by layer. Soaring guitars meld with a torrent of keyboards, feeding into the grandiosity of the album. A Deeper Understanding is a collection of lengthy songs; each is an epic production. In fact, seven of the album’s ten songs exceed six minutes in length, with “Thinking Of A Place” clocking in at over eleven minutes. Even with such heft, none of the songs lumbers along endlessly, but is allowed to progress at its own pace, with not a note, instrumental solo, or lyric going to waste. It is a remarkable testament to Granduciel’s abilities, not only as a musician, but as a composer. That brings us to his words. It might be easy to overlook the lyrics by getting lost in the landscapes of the melodies, but to do that would be a mistake. Granduciel, who wrote or co-wrote all ten of the songs, is an exceptional lyricist who speaks with introspection, perfectly mirroring the pensive, melancholy nature of the music. Granduciel sang all the lead vocals and played guitar, keyboards, vibes, bass, harmonica, drums, percussion and more. 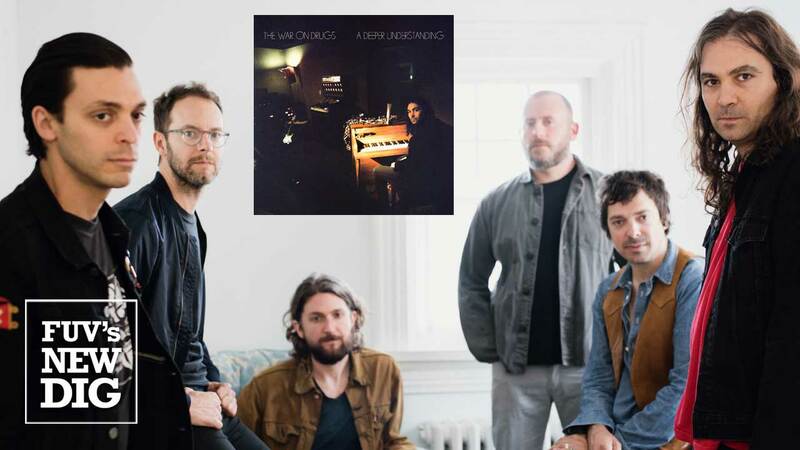 The other musicians that flesh out the War On Drugs are keyboardist Robbie Bennett (who co-wrote "Holding On"), bassist Dave Hartley, drummer Charlie Hall, saxophonist Jon Natchez and guitarist Anthony LaMarca. Special guests include Jess Wolfe and Holly Laessig of Lucius on backing vocals (“Pain”) and former Ben Folds Five drummer Darren Jessee (“Strangest Thing”). The album was recorded at a myriad of studios over a period of approximately two years. With A Deeper Understanding, the War On Drugs delivers an album that meets and even exceeds, the expectations heaped upon it. Now, there are even higher expectations for their next album. Listen to the War on Drugs' FUV Live session from Electric Lady Studios recorded in June 2017, previewing new songs from A Deeper Understanding. The show also airs on WFUV on Monday, August 28, at 8 p.m. EDT.